Holding the academic rank of professor is no child’s play in Nigeria. There are certain minimum requirements expected to be fulfilled for such a person to be promoted to the professorial rank. The hurdles towards that are among the most rigorous around and is in line with minimum standards obtainable in older university systems outside Africa. 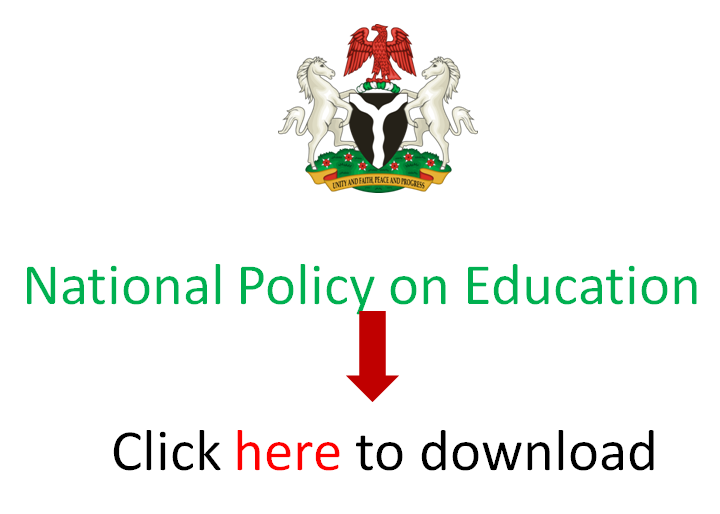 In this post, EduCeleb.com presents details of that, as is currently obtainable in the Nigerian University System. A professor is an academic rank in universities and research institutions in most countries. According to the Online Etymology Dictionary, professor is derived from Old French professeur and a Latin word meaning “person who professes” being an expert in a particular field. In most climes, “professor” is the most senior academic position. People informally refer to it as “full professor”. Where the word professor is used in titles of lower ranks such as associate professor or assistant professor, the word is colloquially used for anyone in an academic post. That is obtainable in the United States. In Nigeria, a teacher at the tertiary education level is called a lecturer. The highest possible rank a lecturer can attain, especially in a university, is that of professor. It is common that a professor teaches the undergraduate, professional and postgraduate courses, and conducts research in his/her area of specialisation. First, a professorial candidate must have an area of specialisation and would only attain professorship in that area. The person must have obtained a doctorate degree in that specific area of specialisation. For medical scientists, a recognised professional fellowship is generally accepted although in a few years’ time, insistence on a doctorate degree in the special area of medicine with be the acceptable minimum. With the proliferation of unapproved universities in Nigeria and elsewhere, any degree obtained from an institution not recognised by the National Universities Commission (NUC) is deemed fake. The NUC ordinarily keeps a list of illegal universities but that is inexhaustible. Then, not all Nigerian universities have accreditation to run postgraduate degrees in all their programmes. It is therefore the responsibility of an individual to be sure that the university and the specific course is accredited by the NUC or an equivalent agency in the country where they are obtaining the degree. Aside a doctorate degree in an area of specialisation, it is also required that the person has years of teaching experience too. Generally, what counts here is years teaching in a university or other tertiary-level institution. So, years teaching at primary or secondary schools may not be put into consideration in the Nigerian University System. The person is expected to have, at least, three years of teaching, research and community service at each of the four main levels of lectureship. These levels are Lecturer Grade 2, Lecturer Grade 1, Senior Lecturer and Associate Professor. Therefore, before being considered for promotion or appointment to the rank of full Professor, the academic/scholar would have put in a minimum of twelve years of university teaching and research. The assessment of scholarship is the most important requirement for someone to be ranked a professor in Nigeria. Without this, the two earlier conditions could keep a Senior Lecturer or Associate Professor in one rank for as long as possible. This assessment involves an evaluation of the published works of the full professorial candidate by seasoned much senior full Professors in the field of the candidate. Publication of articles in high-impact international journals increases the candidate’s chances. Classically, a minimum of 60 internationally-published works will qualify a candidate to receive a positive assessment. At least one of the assessors is expected to be from a well-ranked university outside Nigeria, preferably from Europe or North America (this is not usually the case). Two positive assessments will, at least, qualify the candidate for the final step, which is screening via a rigorous oral interview. The interview is a composite assessment of the candidate on teaching (length and quality) research (scores returned by the eternal assessors) and community service (internal and external). With an overall score exceeding a set minimum by the university, the candidate is then processed to the University Council for appointment as professor. There may be variations to how each university finally admits a professorial candidate but older universities would always give priority to these minimum requirements.